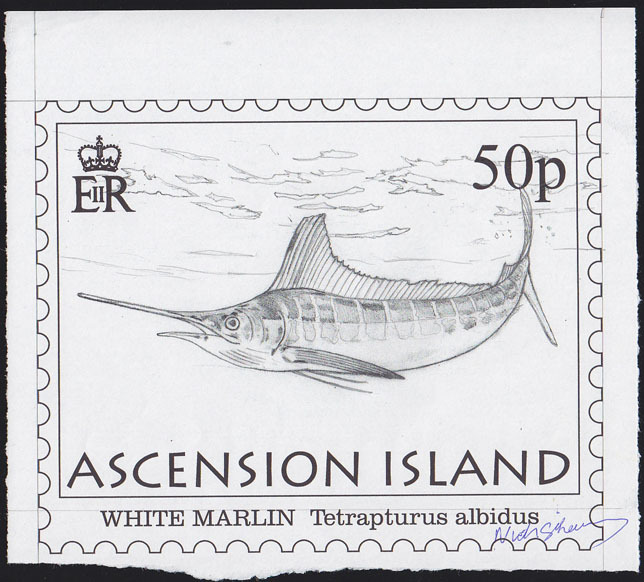 18498 MAQ ASCENSION (2004) Fishing boat*. 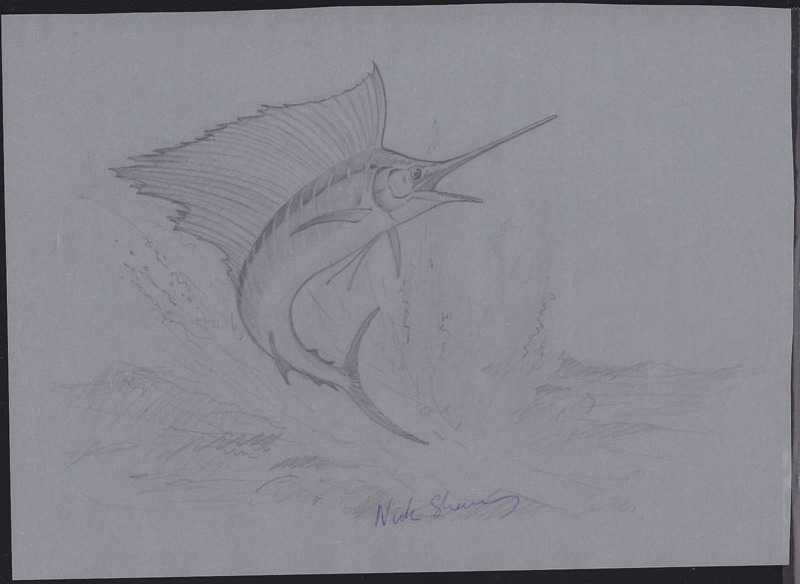 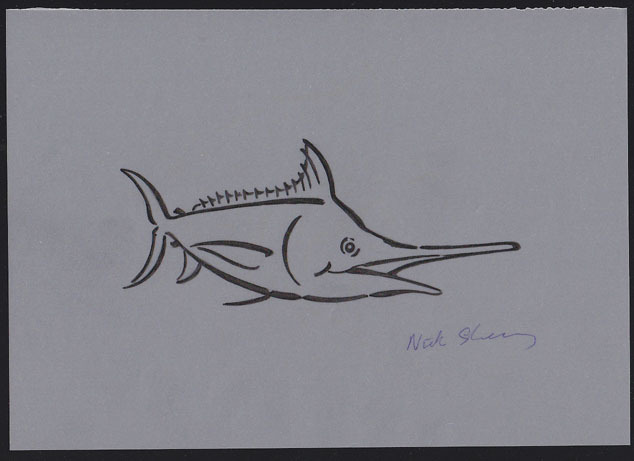 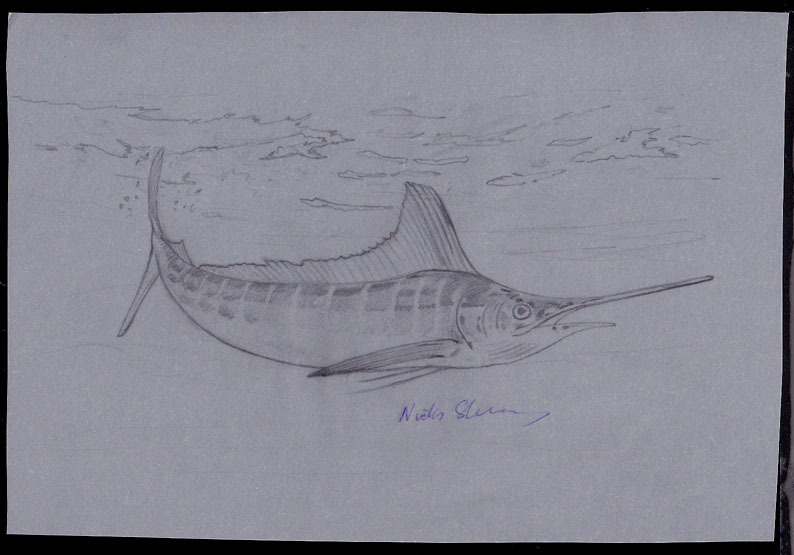 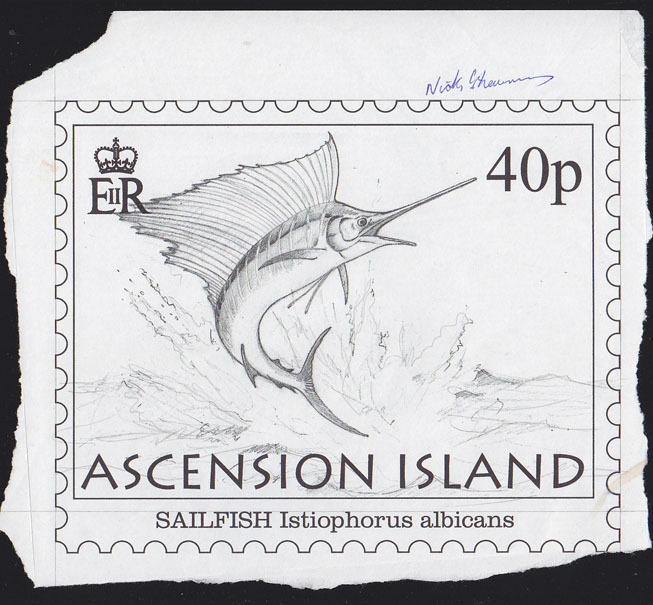 Original artwork for the First Day cachet of the billfish series. 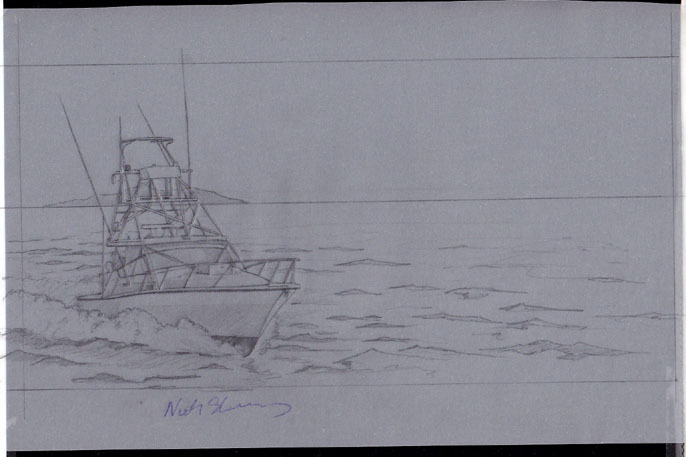 Pencil on cartridge paper signed by the artist Nick Shewring, measuring 29.5 x 19 cm. 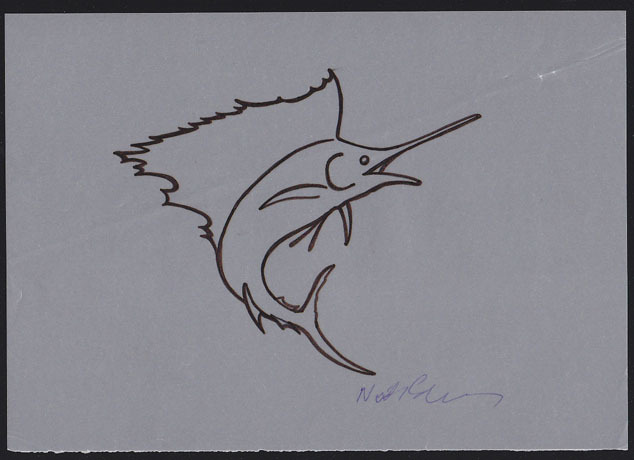 Scott Nos 873-7.